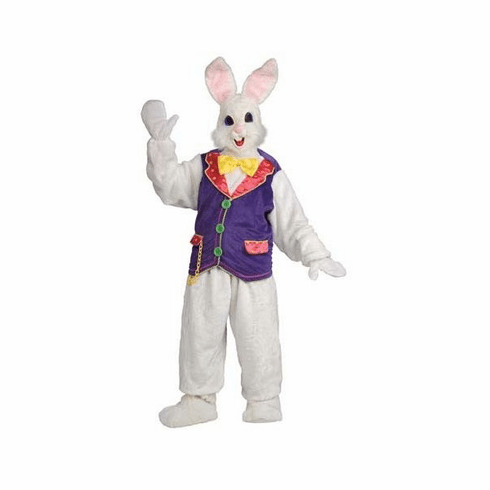 Hop into Easter in this professional quality Easter Bunny Mascot costume. This first class costume is constructed for repeated use and can serve as a costume for parades, church and holiday pageants, promotional opportunities, theatrical productions, family gatherings and masquerade parties. Includes fur covered full vinyl headpiece and extra hood with ears, nose and teeth, plush shirt with attached vest, plush pants, bow tie, mitts and shoe covers. Please Note: Wig sales are final due to hygiene-related concerns.